Screw piles make excellent temporary foundations, quick and easily to install and just as easy to remove. 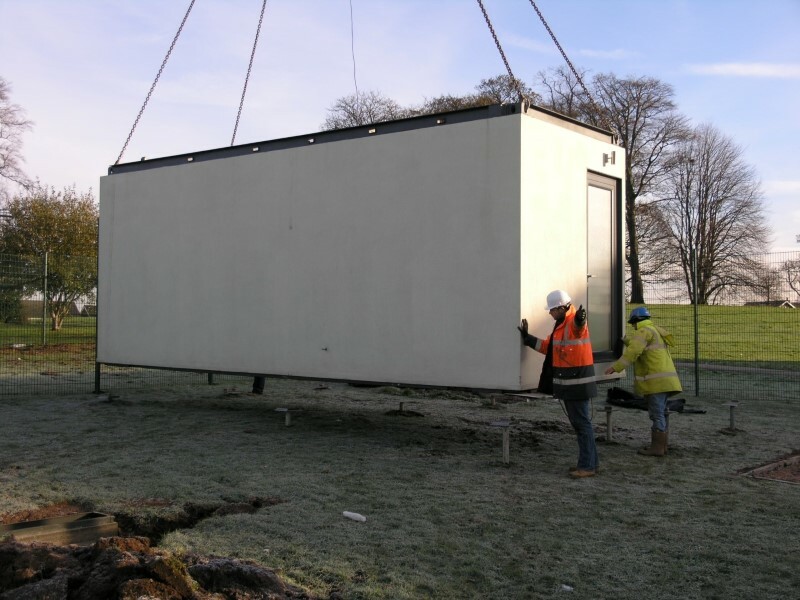 Being able to offer instant tensions they are perfect for use as temporary staging, bridges, secure site storage, toilet blocks etc. The removal of the screw piles causes very minimal ground disturbance and piles can often be used again. 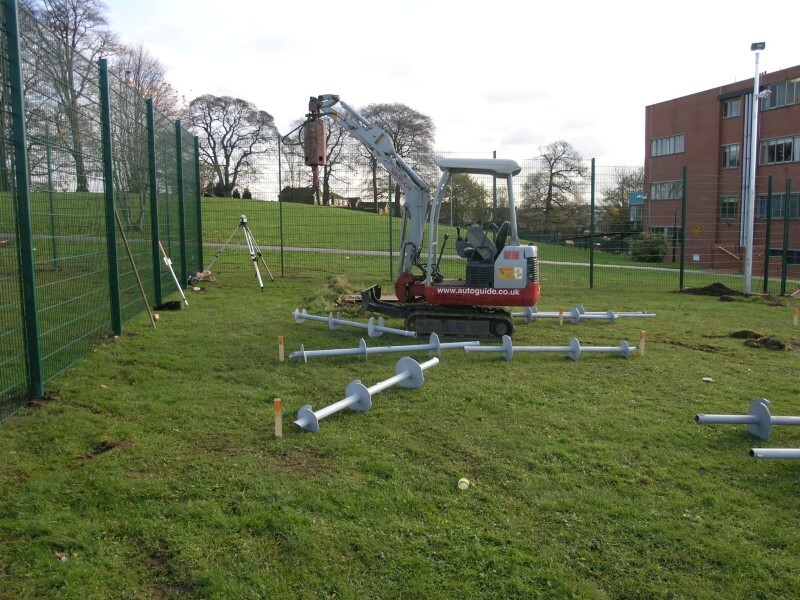 We have also used screw piles to support high loads from tower cranes, strand jacks and other vehicles requiring temporary proven solid foundations. These often have cyclic or reversing loadings. The ability of screw piles to resist both tension and compression plus the low impact of installation and removal is usually key to a successful job. Transport costs are reduced – 1 tonne of screw piles and extensions can provide 80 tonnes (200 tonnes ultimate) holding power. 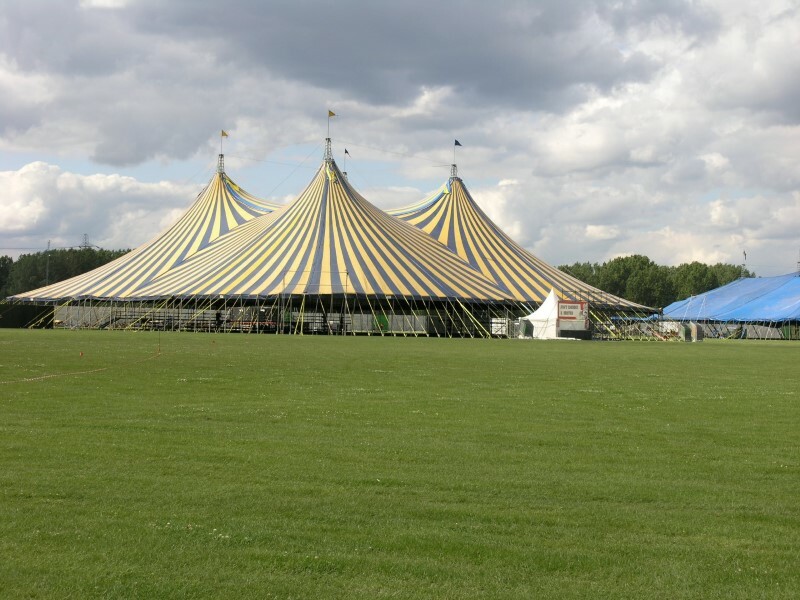 Tents up to 600m2 (65000ft2) are quickly and safely erected using screw anchors, developed specially by ABC Anchors. Tension loads up to 200kN (20 tonnes) are easily accommodated, yet the anchors are quickly removed and reused time and again. 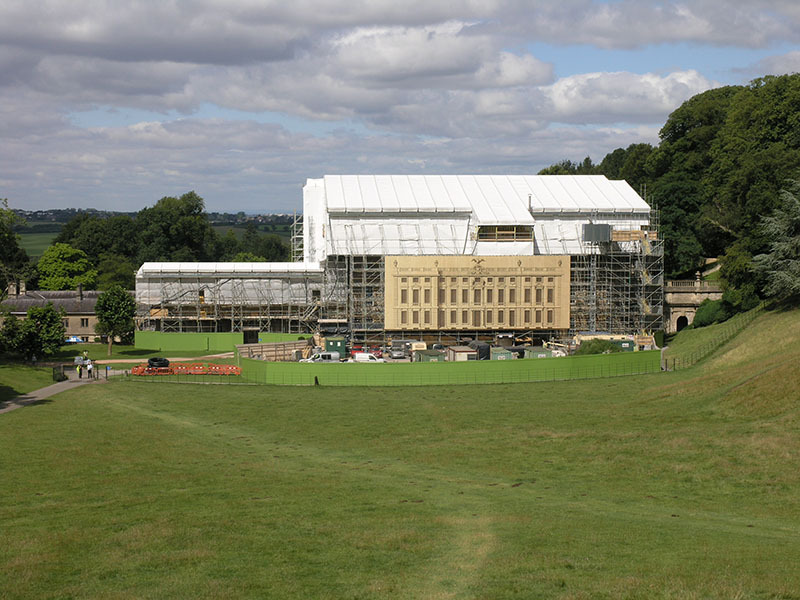 The scaffolding for the temporary roof over the house at Dyrham Park required over 100 screw piles resisting both compressive and tension forces. These piles can be removed and reused once the roof has been repaired. 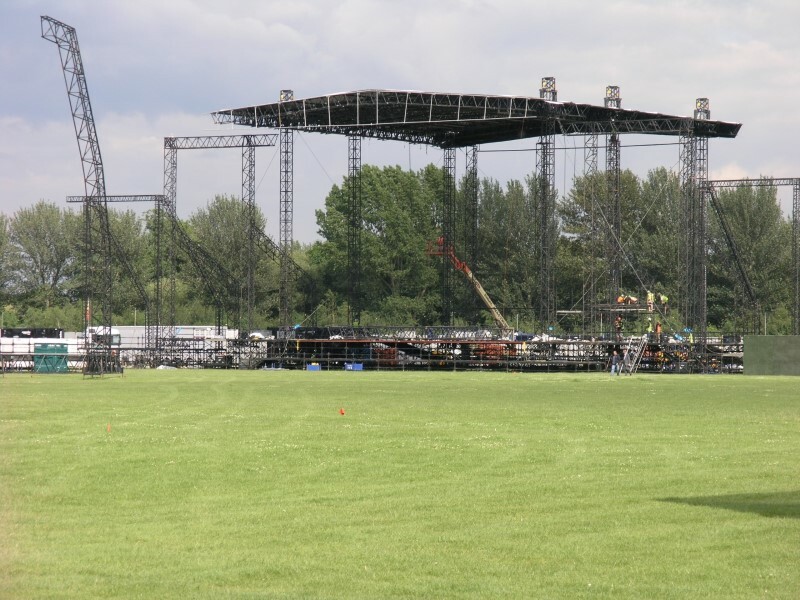 Concert stages, previously secured using concrete, can now be restrained with hand installed lightweight screw piles. Wind turbines suit screw piles really well as they can be quickly erected and repositioned if required with very little effort.